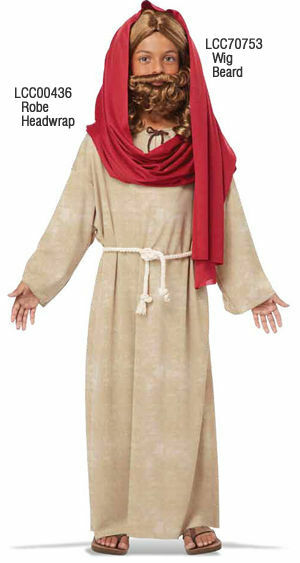 Robe and headpiece set. Robe with attached waist tie. 別売 ウィッグ＆ヒゲ LCC70753.